I don’t think I’ve ever been as excited for a beauty release as I was when I heard that Rihanna was launching a range of products – and when I saw the packaging, I knew I had to try it. Everything about the line feels incredibly unique, from the combination of pastel pink and holographic typography, to the magnetized octagonal casing, it all feels very new to the makeup market. It’s been a couple of weeks since the line launched, and I managed to pop into Sephora and purchase a few pieces that caught my eye the most. When I saw that every product was colour matched according to skin tone and warmth, I knew that a lot of thought had been put into the line. 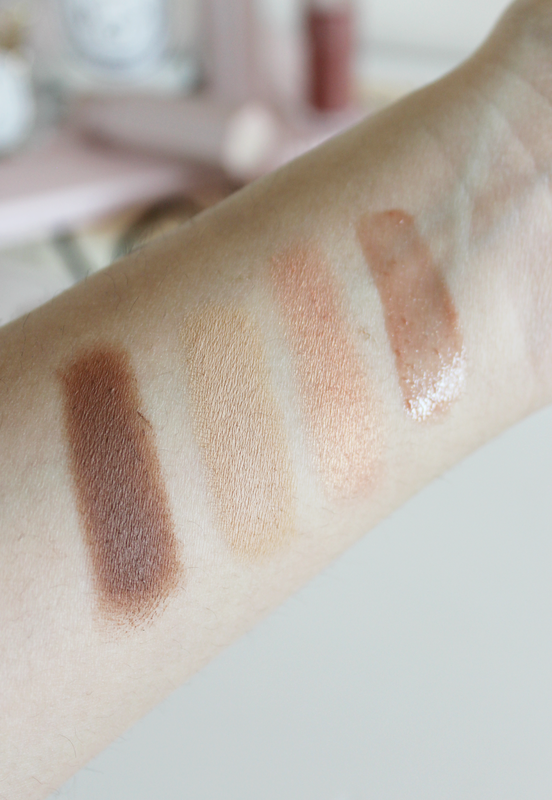 I was particularly intrigued by the Match Stix Custom Trio which combined three shades of conceal, contour and highlight sticks to create your perfect combination. I chose Medium for a more dramatic contour, with the concealer stick in Bamboo, the contour stick in Mocha and the highlight stick in Trippin’. The concealer gives surprisingly high coverage for a stick formula, without looking cakey or dry on the skin. It’s a very neutral shade that would work with a lot of light/medium skin tones. 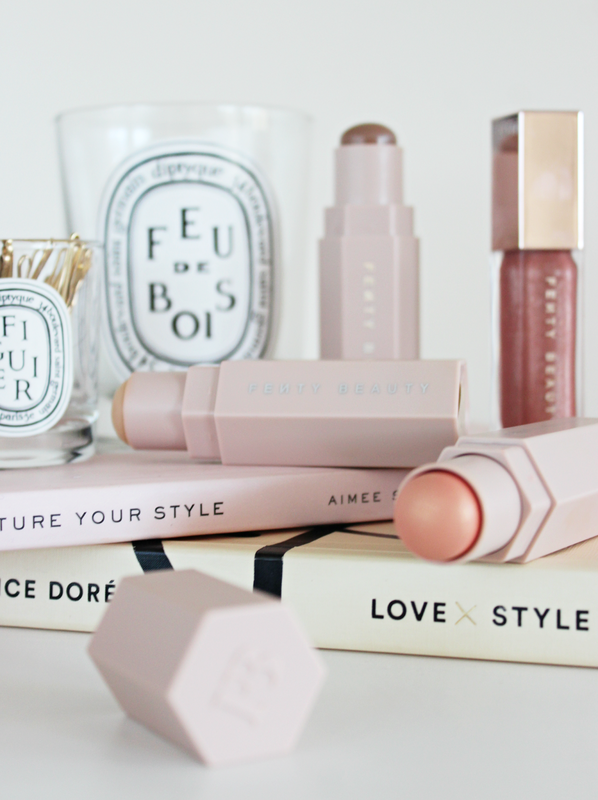 The contour is probably my favourite – I love the difference it makes! When applied to the right areas of the face, it really sculpts and defines, and it doesn’t look orange or muddy at all. You can build up the intensity and go for a heavier contour if you want as well. The highlight shade in this kit is definitely one of the most unusual highlights that I own. It’s described as a gold-glazed apricot shade, and it’s exactly that. I was afraid it might look too harsh on my skin but it gives that most illuminated peachy glow. The last product that I picked up was the Universal Lip Bomb in Fenty Glow. This is a colour that would suit anyone and so it’s a fail-proof product to pick up if you don’t want the hassle of finding the right gloss shade for your skin tone. It’s a gorgeous neutral gloss with a gorgeous amount of shine that totally lifts your complexion and gives you such a healthy look. 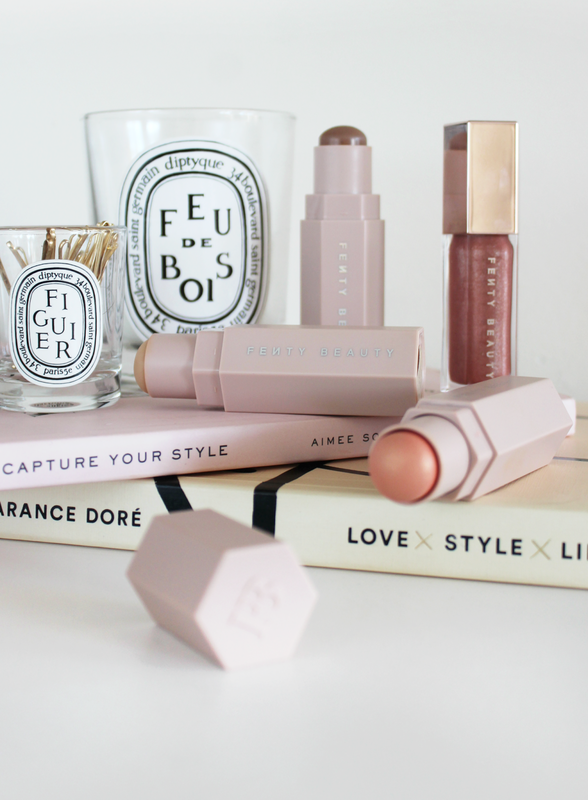 I’ve been pairing this over other lip products and wearing it on it’s own… it’s honestly a great all round lippie. I love it! From left to right: Mocha, Bamboo, Trippin’ and Fenty Glow. I definitely think I’ll be trying more out from Fenty Beauty as I’m incredibly impressed. I have my eye on the foundation and I’ve already been matched so I think I might be getting that next. Have you tried anything from this line? Next Post Four Happy Things.